Buildings lose up to 40% of their energy due to air leaks coming in through gaps, cracks and holes throughout the property. The best way to counteract this phenomenon is to install wall insulation and while foam and rolled blankets are the usual choices, spray foam insulation is the superior preference. Enchantment Roofing and Construction, the best roofing constructor in Santa Fe, shares the advantages of using spray foam insulation. 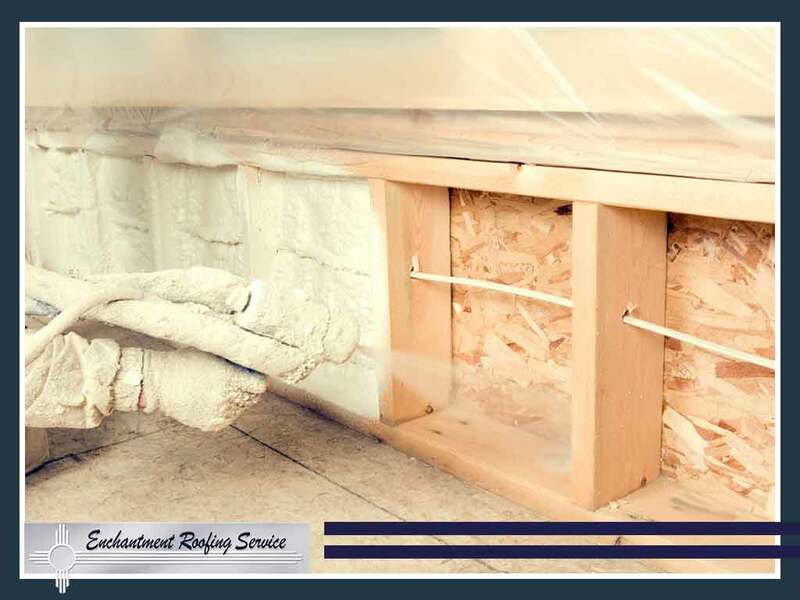 Spray foam insulation is an insulating material used to seal the walls, floors and ceiling against air intrusion. The correct term for the insulating material is actually SPF Insulation; “spray foam” refers to the application process in which the material is sprayed into open cavities. Unlike other insulating materials, spray foam never loses its shape because it fills the crevices instead of being cut to fill them. It also doesn’t compress or sag over time, which means it’s still effective after several years. Our residential roofing company offers a selection of spray foam insulation, such as Comfort Foam® and RockFoam®. Thanks to its expansive nature, spray foam is a stronger insulator and tightly seals all nooks and crannies. Its resistance value or its ability to provide an airtight seal is at R-6, the highest level for insulating materials. Because spray foam is a strong insulator, it can help make the home more energy-efficient throughout the year. Studies show that spray foam insulation can provide an average of 50% energy savings compared with other insulation types, which only provide 30%. Air isn’t the only thing that can leak into the house. Water and moisture can enter these gaps and ruin other insulating materials by soaking them until they start to clump and eventually lose their insulating properties. Spray foam insulation is impermeable to water and is actually used to reinforce these crevices against water intrusion and flooding. At Enchantment Roofing and Construction, we have been providing residential and commercial roof repair service since 1998. You can count on us to properly apply your new spray foam insulation to completely protect your home. Call us today at (505) 780-4616 to learn more about our services. We are the best roofing constructor in Santa Fe, NM.